My summer blockbuster viewing began this weekend by taking in X-Men: First Class, a star studded cast of a movie that promised to explain the origin of these mutant superheroes/villains. I had no expectation for this movie, I barely remember seeing any trailer for it, and this usually helps, as I do not build up or shoot down a film before the first image reaches my retina (I could pretend like I go into all movies with a clean slate, but that would be a lie. We all have baggage we bring to a movie and to pretend otherwise is rather ridiculous.). X-Men: First Class follows the rise of our beloved mutant characters and begins the process of explaining how they came to be; and how they came to be is actually quite boring and involves some questionable special effects. Ever wonder where the names came from? Well some mutant kids were sitting around and thought it would be fun to have names. They even nailed the names on the first try, save one, which is pretty good considering the number of nicknames each of us are bestowed upon us by friends. So, but, anyway, naming was answered. Ever wonder how many references they could make to the first, and far superior, X-Men movie, and not in an origin explaining way? Well they can make a few more than I would deem reasonable. Having Hugh Jackman cameo just reminded me he has much better things to do than attach his name to a sub-par film (errrr … Real Steel?). Superimposing Rebecca Romijn face into the film, also brought up the idea that she didn’t even want to show up for a cameo, she only agreed to digitally be there. And while we are on the topic of digital alterations, let us discuss special effects. A film like this relies heavily on the quality execution of CGI. If this isn’t well done, the house of cards tumbles and all we are left with is a mediocre script that was supposed to be hidden behind the curtain of wowing effects. And that is what we got: less than impressive effects. Scenes of characters flying were so egregiously fake that, I can’t believe I am going to say this, I actually wished Michael Bay were available to have correctly directed those sequences. The not-so-special effects were amazingly distracting and constantly pulled me out of the film. There was overuse of images overlaying images during flashback sequences/Dr. Xavier going into minds of people, split screen montages, terrible voice-overs, weird facial strains as the characters implimented their mutation (i.e. look constipated and that will let the audience know that a super power is being used), and the list goes on, but I will spare you. It is rare that I see such a talented group of actors/actresses so misused. I don’t blame them necesarily (well, I do blame January Jones for thinking we just want to see Betty Draper, which we kind of do, but only when she is in Mad Men, not necessarily in X-Men … and Kevin Bacon for, well, bad accents and acting like someone trying to act evil), the direction of Michael Vaughn was just not strong. I never felt like the story meant anything to him. Maybe he was too busy making babies (allegedly) with January Jones to really concentrate on the film, or maybe the X-Men story just didn’t hold his interest. 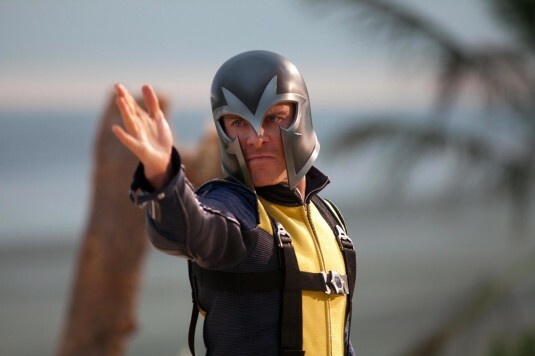 After seeing X-Men: First Class, it didn’t hold my interest either.